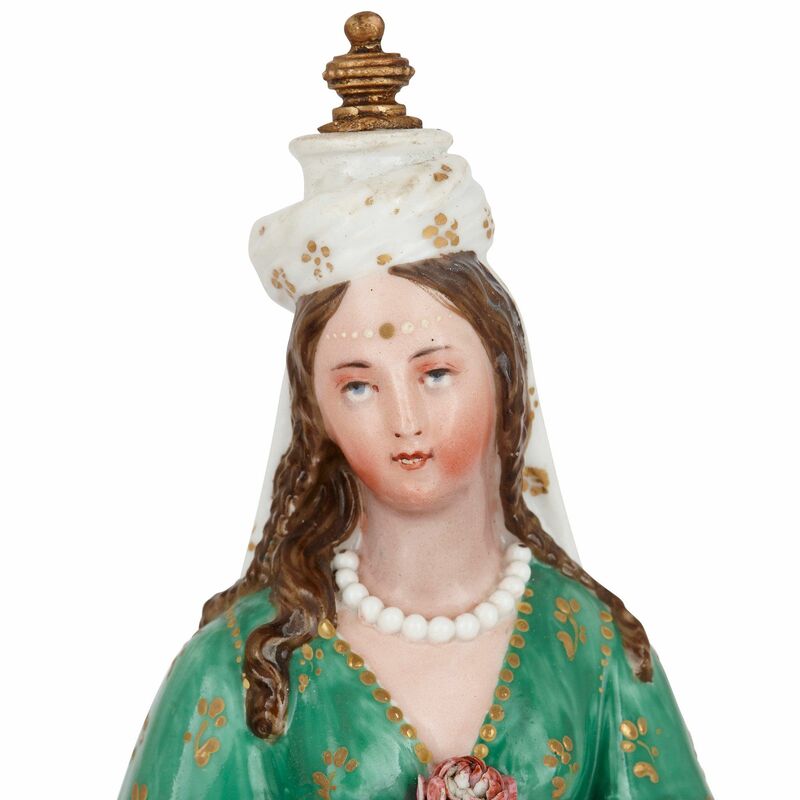 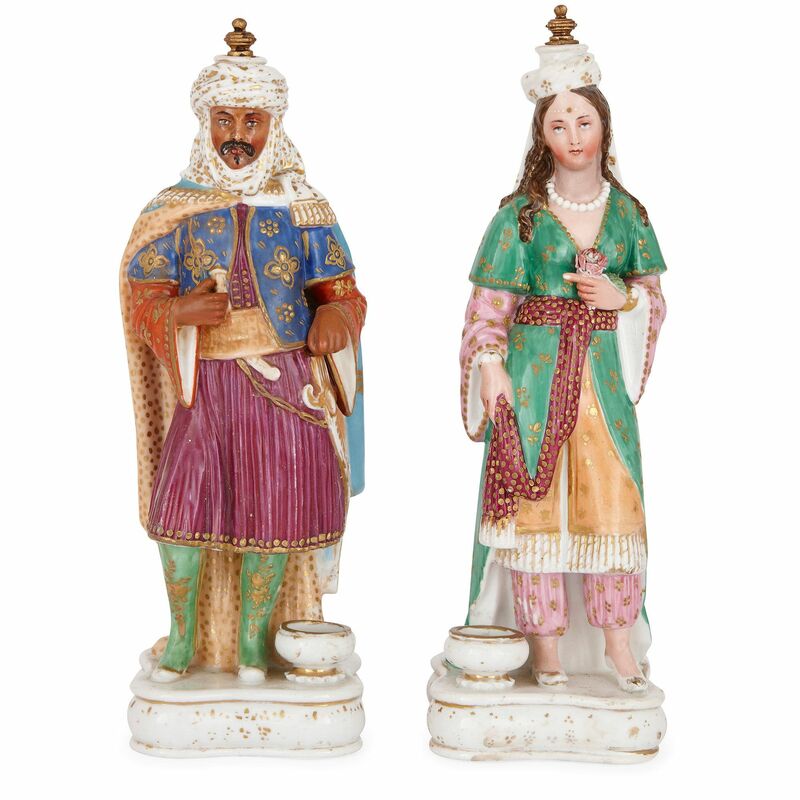 These delicate antique porcelain scent bottles were made by Jacob Petit, and take the form of a man and a woman in sumptuous Turkish wedding costumes. 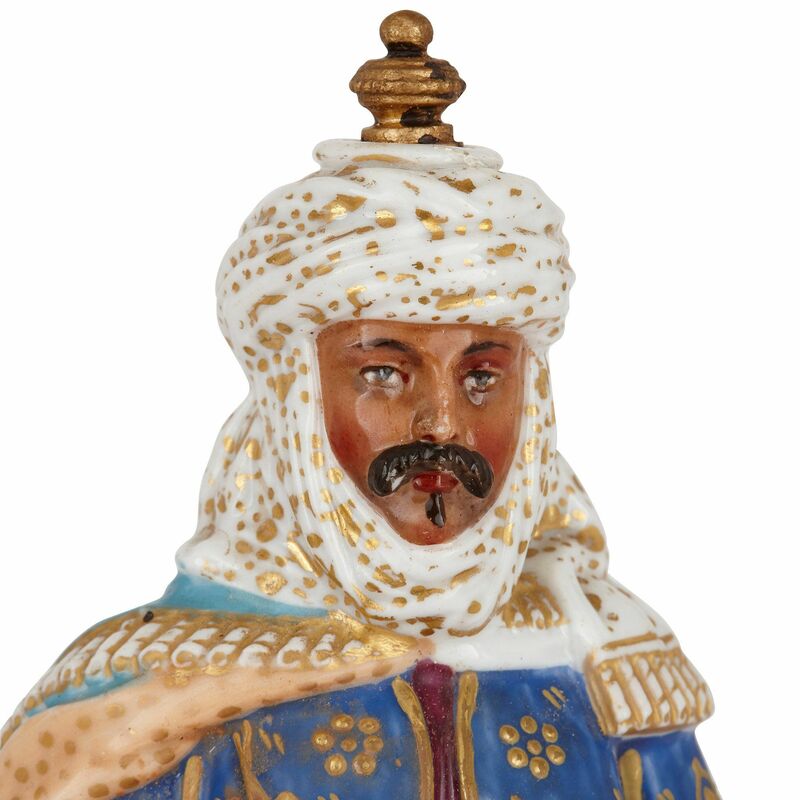 Each of the scent bottles is made entirely of painted porcelain, and each is set on a curved, square base painted white with gold accents and set with a circular bowl. 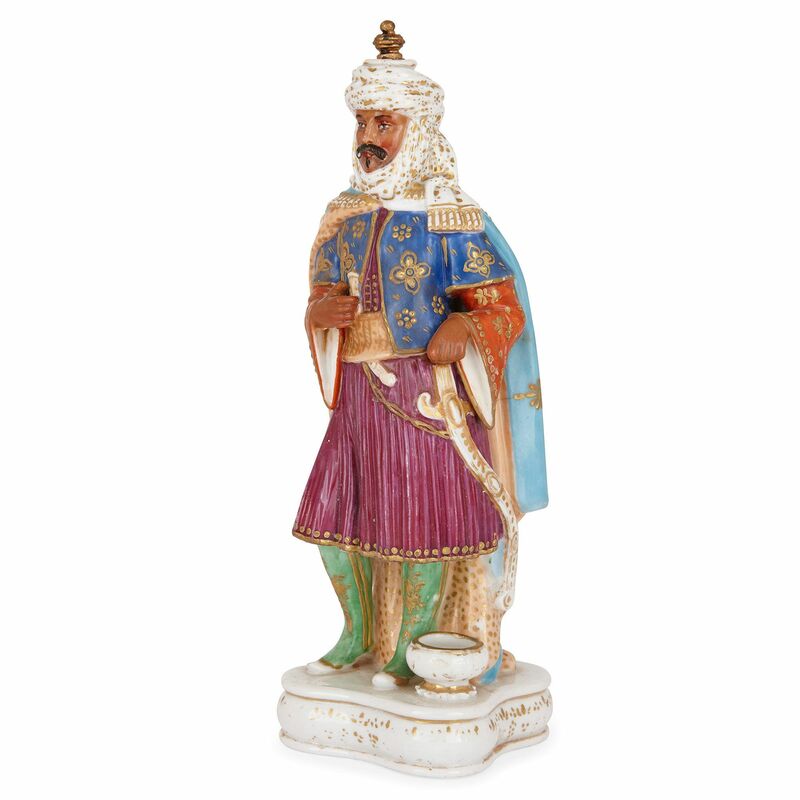 Both figures are dressed in polychromatic Turkish wedding robes, accented with gold. 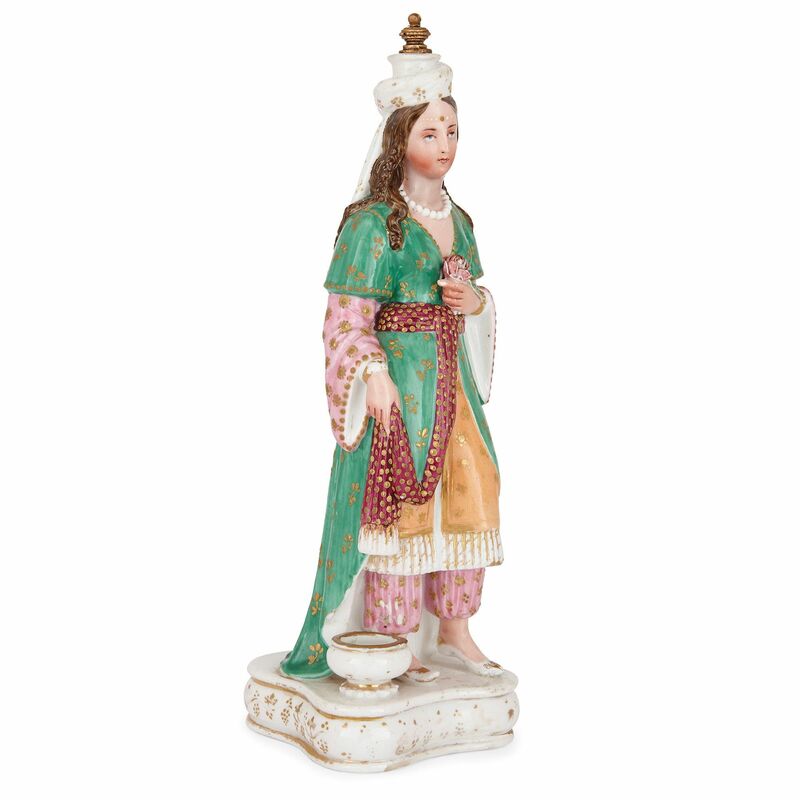 The male figure holds a curved dagger and wears a white turban, whilst the female figure holds flowers. 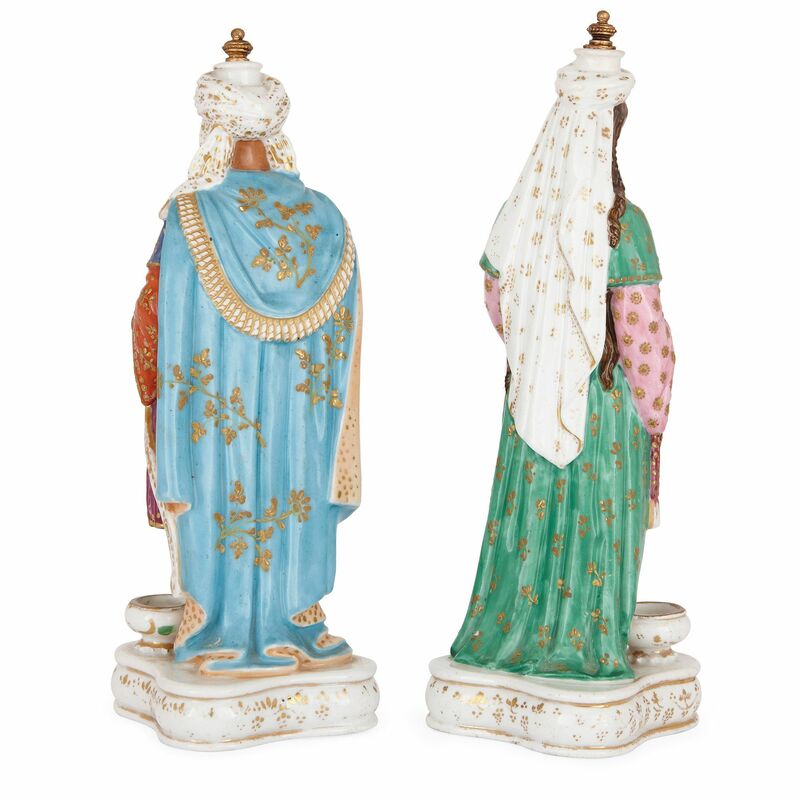 Each of the figures have gold-painted cork finials which can be removed to fill the bottles with perfume. 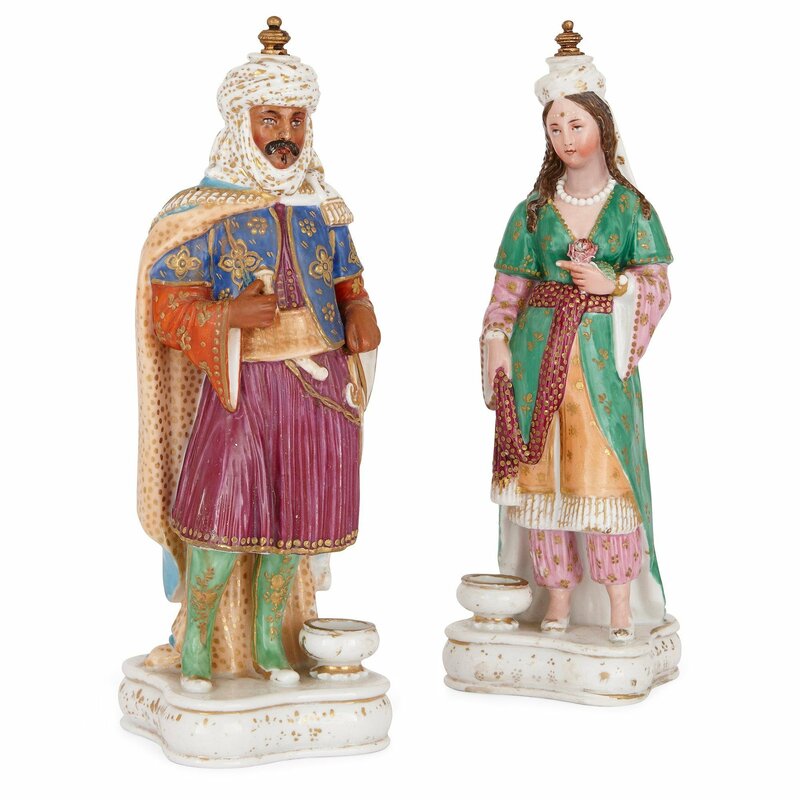 The figures were made for the Turkish market, and are marked to the underside 'JP,' the blue stamp of maker Jacob Petit.